Greece’s Anti-Money Laundering Authority has already sent a judicial assistance request to authorities in the Republic of Cyprus in an effort to uncover a possible money trail and the possible use of offshore companies. With the opposition clamouring for a full investigation of the case of Manolis Petsitis, Digital Policy Minister Nikos Pappas, a schoolmate and friend of Petsitis, is now distancing himself from the erstwhile friend. Ministers and government cadres have also distanced themselves from Petsitis declaring that the case should be exhaustively probed by the judiciary. A segment of the Greek press and of the opposition has suggested that Petsitis was SYRIZA’s “cashier” or bag man, interceding between the government and powerful business interests. Petsitis apparently acted as a liaison between the government, the ELFE (Hellenic Fertilizers and Chemicals) company of Lavrentis Lavrentiadis (a convicted felon who later hired him) and the state-owned gas utility company DEPA, to settle ELFE’s 89 million euro energy debt. Petsitis also is said to have worked with businessman Dimitris Kontominas. In 2013, Petsitis was working as a waiter in Athens and declared an income of slightly less than 5,000 euros annually. After 2015, when SYRIZA came to power, that income skyrocketed to 200,000 euros annually. The main opposition has been hammering SYRIZA over Petsitis’ activities for months. “According to new reports, Mr. Manolis Petsitis who is in the prime minister’s inner circle and a confidant of Minister Nikos Pappas received in 2016 and 2017 hundreds of thousands of euros from Mr. Lavrentiadis’ ELFE company. What ‘services’ might Mr. Petsitis have offered Mr, Lavrentiadis to justify those sums? How are those services linked to the DEPA-Lavrentiadis scandal, in which felony charges have already been filed against SYRIZA cadre Theodoros Kitsakos?” New Democracy asked in a statement issued in December. After weeks of keeping a low profile, Pappas broke his silence to distance himself from his old friend’s business activity, declaring that it involves transactions between private parties. “Let the judicial investigation continue and whatever comes up will be revealed. The opposition is engaging in cheap diversionary tactics. 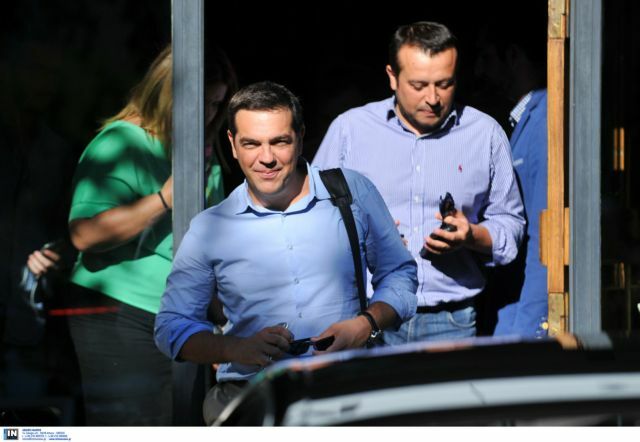 We have the huge issue of the loans given without guarantees to political parties (New Democracy and Pasok) and the question is whether that money will be paid back,” Pappas told News 24/7. Pappas said that since the beginning of 2016 Petsitis was working in the private sector for companies with which the government had open disputes and that Petsitis was not his associate. On 1 April, government spokesman Dimitris Tzanakopoulos distanced the government from Pappas after sums were found in Petsitis’ bank accounts. “Mr. Petsitis made his choices and took his own path. From some point on this involves individual responsibility and everything will be investigated by the Greek judiciary. He became involved in businesses with which the government clashed openly in order to protect the public interest,” Tzanakopoulos said. While the government initially indicated that Pappas’ and the government’s contacts with Petsitis ended when SYRIZA came to power in January, 2015, photographic and video evidence tell another story. The first photograph that was published in the Greek press was of a smiling Petsitis standing at the PM’s podium in his Maximos Mansion offices. Now, a video has surfaced that shows Petsitis with the PM and his closest aides on the night of the 5 July, 2015 referendum on the Greek bailout agreement. “In which capacity did Mr. Petsitis go in and out of Maximos Mansion and what are the dark relationships that link him to Nikos Pappas, Artemis Artemiou, and Lavrentis Lavrentiadis?” Mastrogeorgiou asked. Artemiou is a Cypriot lawyer who specialised in offshore companies, and Pappas had reportedly traveled with him to Venezuela in 2013.